Head Graphene Touch Radical MP Ltd (25 Years) - Tennis Town | 網球購物城 - Tennis Racquets, Equipment, Strings, Shoes & Bag. Just like the RADICAL MP, the limited edition GRAPHENE TOUCH MP RADICAL comes with the innovative Graphene Touch technology for an incredible touch and a solid dampened feel. The most versatile racquet of the series also features a dynamic 16/19 string pattern for enhanced playability and spin as well as increased balance for a higher swing weight and an increased plow-through effect. What makes this one special is its truly unmistakable bumblebee design inspired by the first ever Radical released back in 1993. 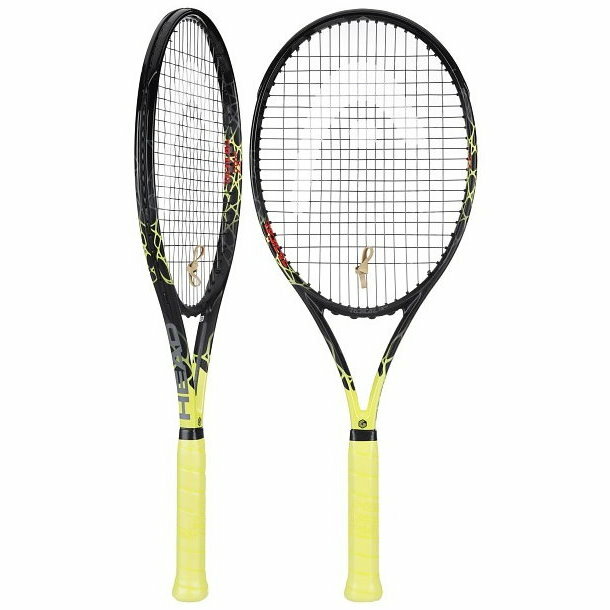 The Radical LTD is the perfect racquet for the versatile player who is not afraid to stand out.